National and international glory aside, sports provides an extremely popular form of exercise as well as leisure activity. It leads to physical fitness and develops mental discipline, besides inculcating team spirit, fighting spirit and teamwork. Commanding Officer/Commandant of the unit/centre/establishment in which the Army sports Node is co-located will be personally responsible to ensure training of Army teams. Sports competitions/championships at various levels will be held in Athletics, Boxing. Basketball, Cross country, Football, Aquatics, Handball, Hockey, Kabaddi, Volleyball, Wrestling, Squash, Tennis, Golf, Polo and Equestrian sports. Sports Calendar for inter Command (Army) Championships will be formulated at Army Headquarters. The Chief of the Army Staff Overall Sports Championship Rolling Trophy Will be contested amongst the Commands every year. Inter Command (Army) Championships will be organized under the aegis of the Army Sports Control Board, which will also bear the entire expense of conducting the championships. Both, the Services and Army level sportsmen will be trained at the designated Army Sports Nodes as part of the Mission Olympics. 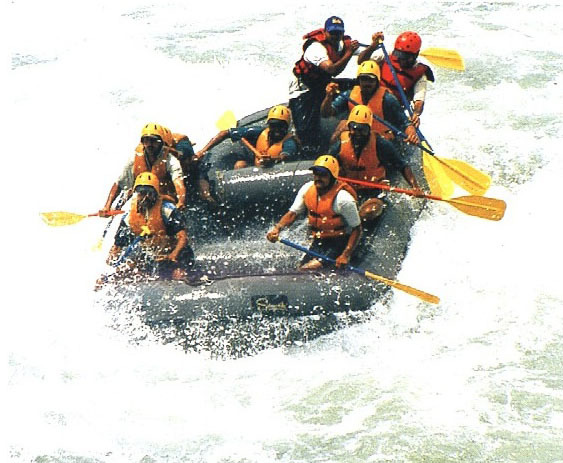 Adventure activities developed key leadership traits, such as mental and physical robustness, teamwork, decision-making and problem solving abilities. Regular adventure activities are encouraged during pre-commission training, in the various schools of instruction, as also in field formations and units. Treks using animals, mountaineering, trekking, desert or jungle safaris, cave exploration, two or four wheeler rallies and cross-country skiing. Microlite flying, powered hang gliding, hang gliding, Para gliding, Para motor flying, hot air ballooning and sky diving. Ocean sailing, white water rafting, kayaking, canoeing, water-skiing, wing surfing and scuba diving.